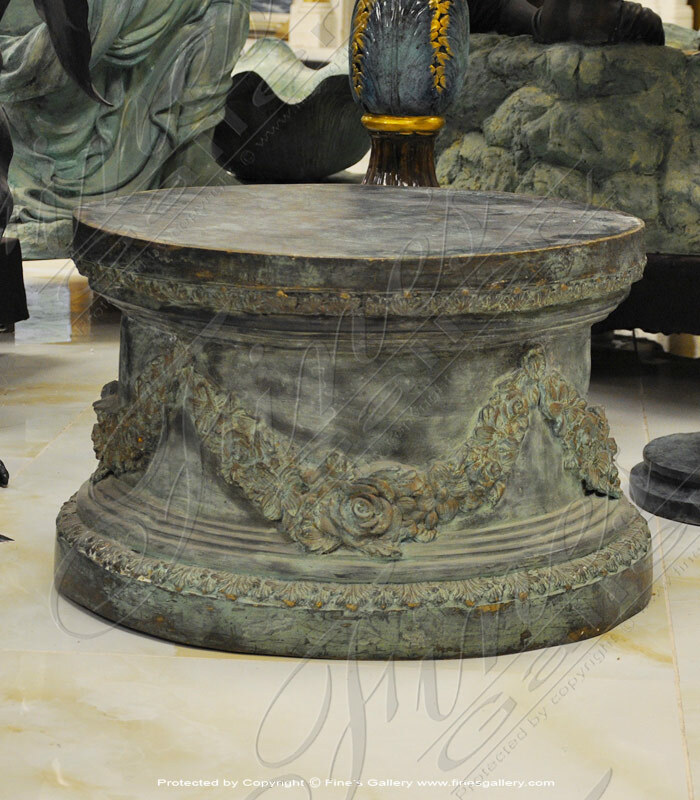 Absolutely Stunning bronze & marble pedestal. 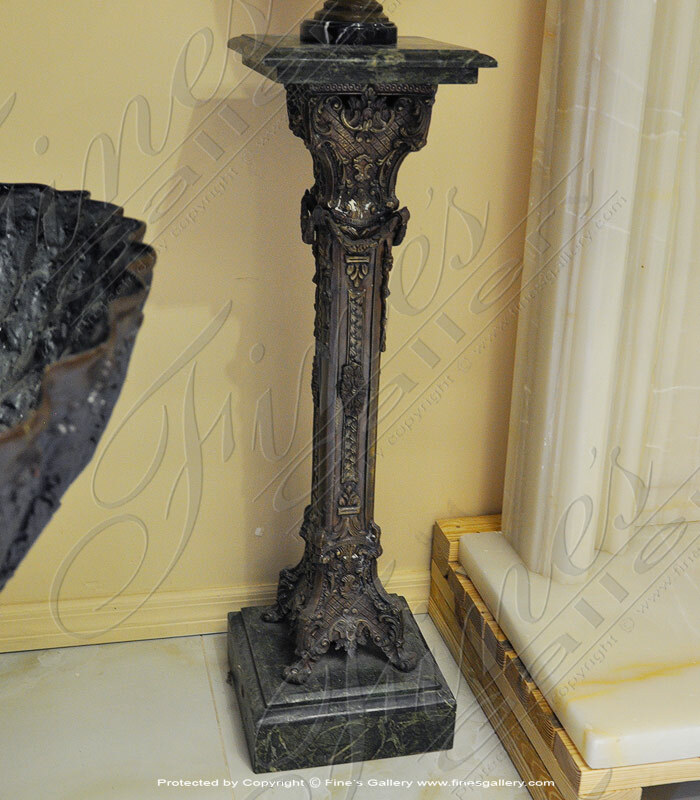 Intricate designs in bronze of this amazing bronze and marble base / pedestal. Call for availability. Beautiful Bronze Base. If you require additional information for this product please call 1-866-860-1710 and talk with a sales representative at anytime. 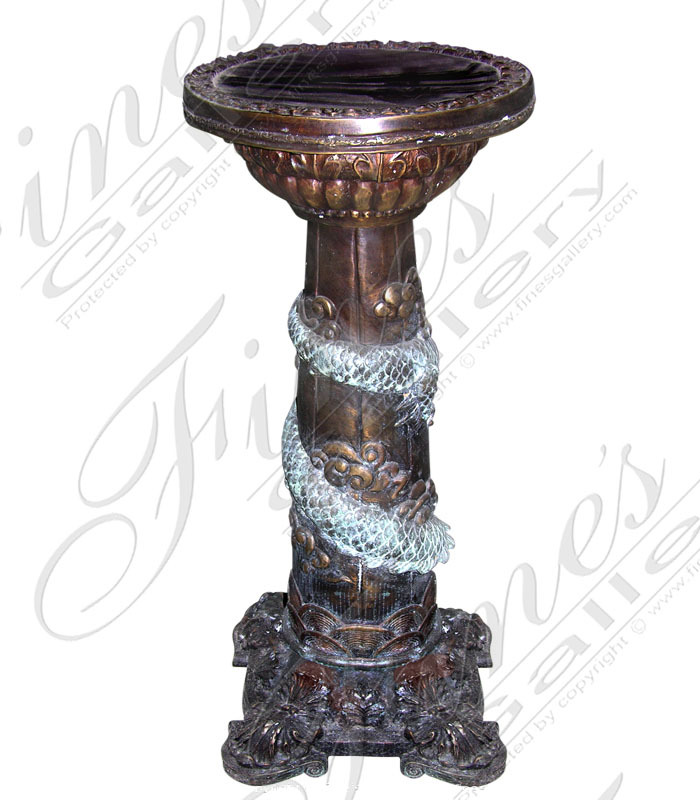 This Bronze Planter Base is cast in Patina Green Bronze with light coloring throughout. Floral designs and intricate patterns, this base will provide Artistic Beauty and a secure footing for any Planter/Vase you choose place. 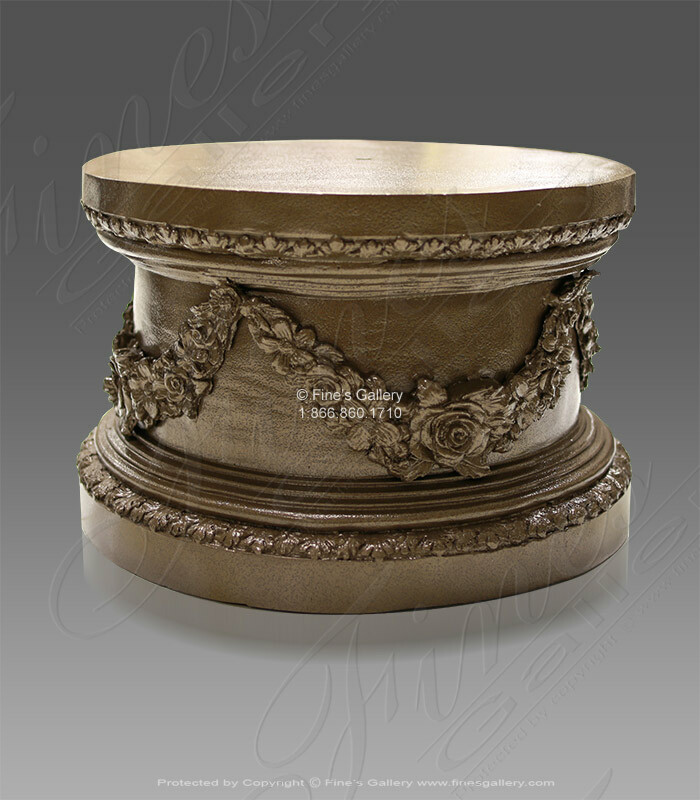 This gorgeous bronze base is cast in our classic bronze and artistically designed with unique floral designs. A perfect base for any of our products. 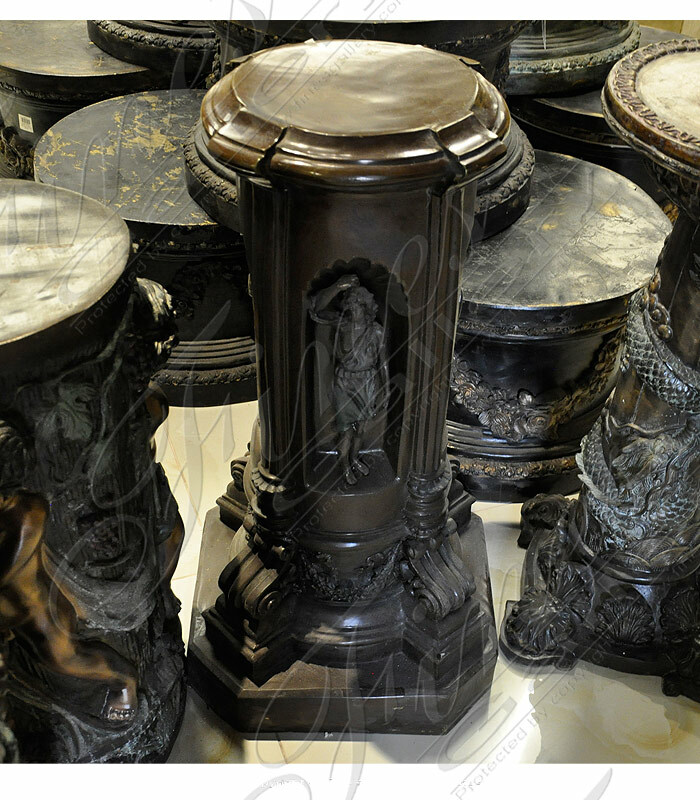 Great for the home, garden or pool area that you require a ornate base to display your artistic decor. The description for this beautiful Bronze Base is not available at this time. If you require additional information for this product please call 1-866-860-1710 and talk with a sales representative at anytime. Ornately decorated bronze base of chubby-cheeked cherubs dance and play amongthe grapes and foliage ofthevineyard. Contactthe galleryfor personal sales assistance. 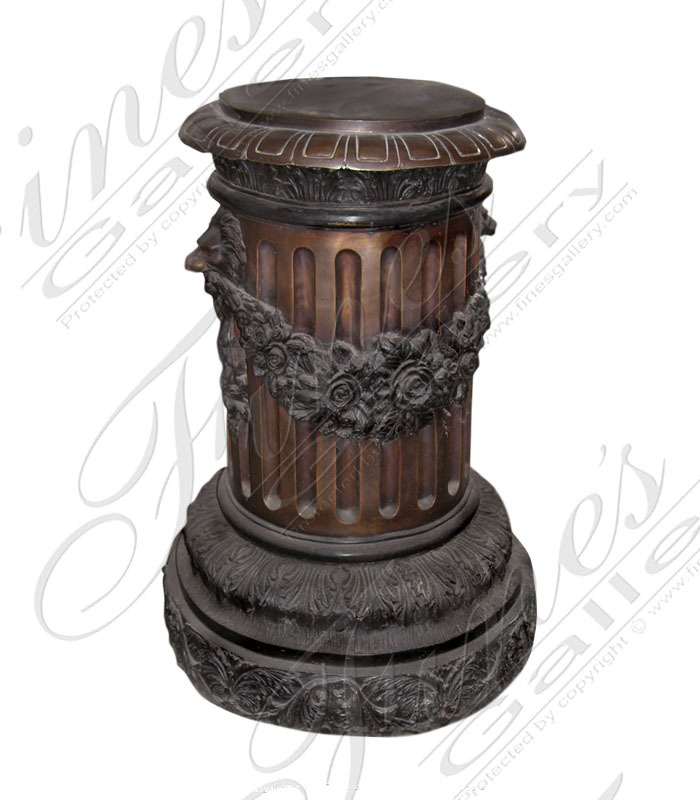 This elegantbronze base is a column style fluted pedestal, lost-wax cast by skilled artisans, makes an impression. Contact the gallery for personal sales assistance. 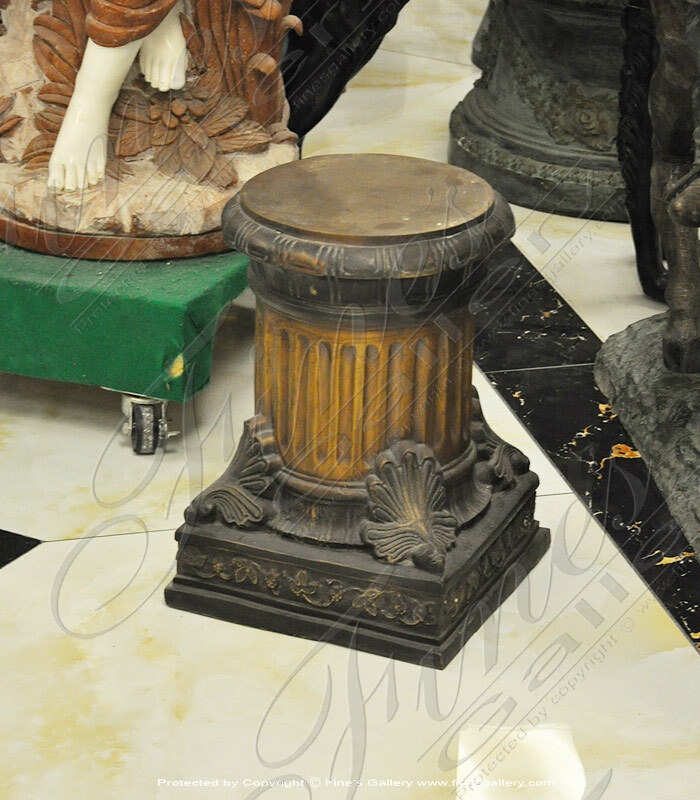 Made from fine bronze, this base features unique and detailed artistry. A shallow circular shaft is highlighted with a fluted design and beautiful?floral wreath. ?Use this to showcase your favorite bronze or?marble statue!? 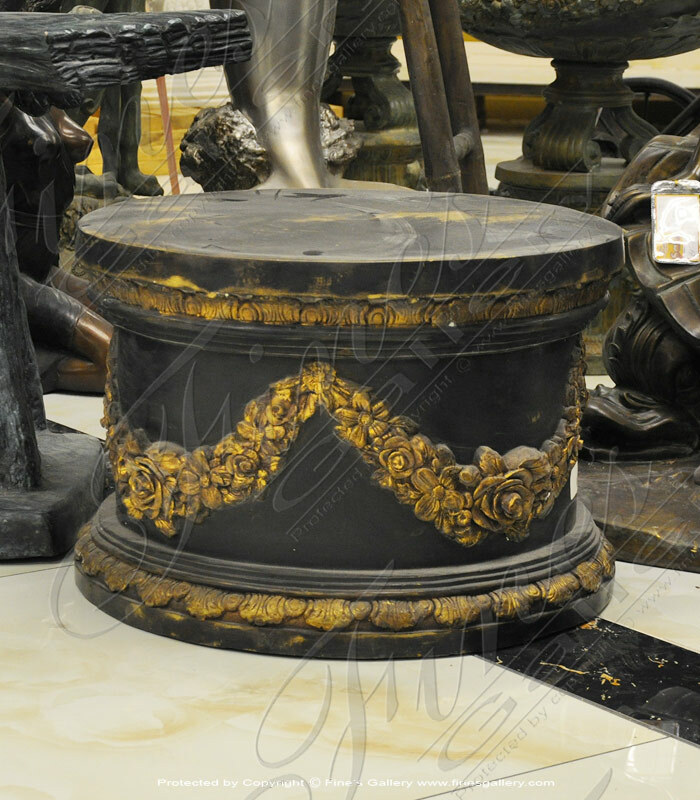 A stunning bronze base with elaborately detailed artwork for fine home decorating. Skillfully crafted in two tones of bronze, this piece is the perfect accent for a front entrance. 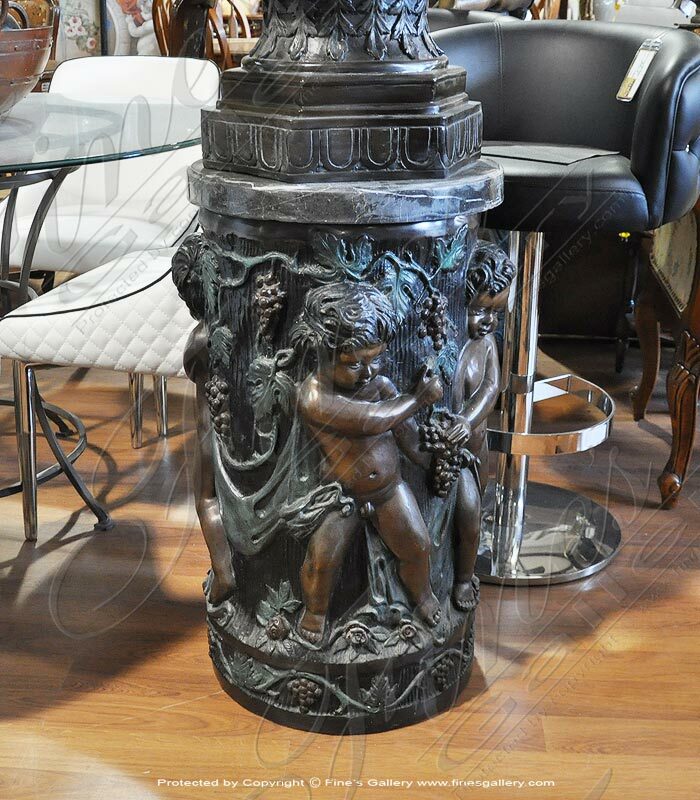 Enhance the beauty of your home today with this enchanting bronze base.